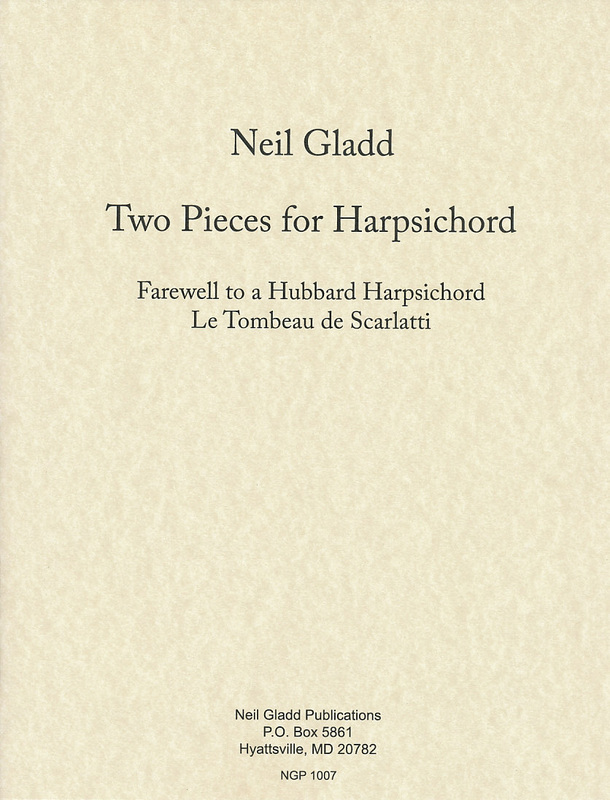 These two harpsichord pieces were not written as a set, so they may be performed independently, or together in any order. I was not a fan of "modern music" until I discovered Domenico Scarlatti. In 18th century Italy, he was using polytonality, tone clusters, blue notes and chance music. (In some of the extended hand crossing sections, the performer has no idea what note he is going to play next.) After having played a dozen of his Sonatas, I decided to write my own. It really only goes one step farther than Scarlatti actually did. I gave the first performance on my senior recital. I later sent a copy of the score to harpsichordist, Igor Kipnis, who wrote that it was "very cleverly written and quite witty, and would make a good encore piece." My first entirely serious composition, this was a literal farewell to a Hubbard Flemish kit that I built and had to sell to pay off some debts. I gave the first performance on November 18, 1982 at the Folger Shakespeare Library in Washington DC. Although I had a much better harpsichordist there as my accompanist, she was unable to reach the wide spaced chords I had written.